Navigating through intricate roads in large cities gets tedious sometimes. If you have got lost in the small lanes of Delhi before, you need not worry anymore. Google has its focus laid steady on India. It has now decided to come out with a transport navigation app especially for Delhites. This is the very first time Google is targeting a specific city, which the travellers would be very happy about. The app is currently available only for Android and is being called Delhi Public Transport Offline app. 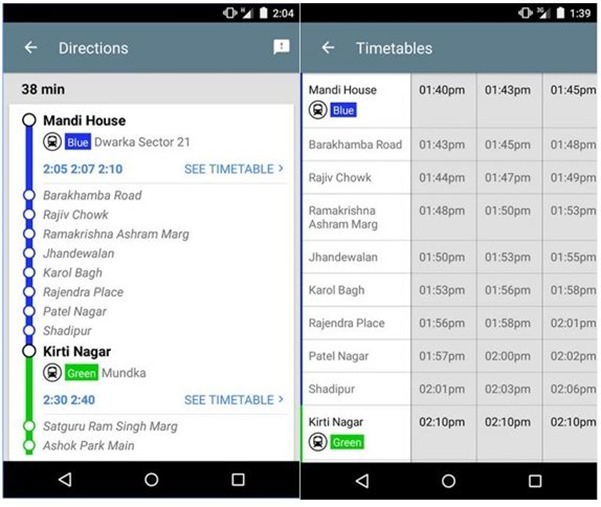 The app will show routes, timetables and directions for buses and Metro rail in New Delhi. As the name well suggests, it does work even in offline mode which we feel is the best part of the app. So, even if you aren’t in a wifi zone or do not have your mobile data on, you could still use it. One of the major issues with such navigation apps is high battery usage as it uses location tracking through GPS as well as internet. As this app can work offline, the mobile battery consumption will be quite low as well. However, if you are connected to internet, there are certain advantages. The online app would give you additional details like delay in the schedule and so on. Keeping the Indian market in mind who doesn’t like to spend much on data and doesn’t have many wifi hubs yet, this is a good step. At 1mb, the app extremely lightweight and even a low-spec’ed phone can easily accommodate it. Google has designed the app as an experiment to ease out lives of people in the much cluttered city. If it has plans to expand this or even take it to other cities, we cannot really say. But we hope this is not just stopping here, there are similar places, which are major cities and have small streets like say Mumbai, Pune and Bangalore, which will too benefit from similar app. According to Google, India is one of the fastest growing countries in terms of Google Maps usage, so developing a separate, more specific app made sense for the company. The app will use the same Transit data for DMRC metro, DTC buses, DIMTS (Orange) buses and Gurgaon Rapid Metro as Google Maps. Google Maps is one of the most popular app on Smartphones, but something like this which is much more local has high potential for users both – who are regulars and travellers in the city. Its good to see the tech giant is steadily growing its base in the country and tapping issues in the emerging market. 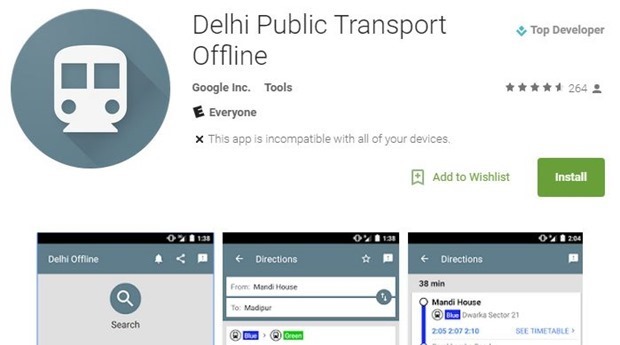 "Google Launches Delhi Public Transport Offline Mobile App", 5 out of 5 based on 2 ratings. Now, Purchase a Mobile Phone on Paytm & Get it Delivered in 2 Hours Flat!